Want to know what parents ask me ALL the time? Why don’t the strategies we’re using with our kids work? I’ve read the books and blogs and nothing seems to work. What’s wrong with me? I’m successful in other areas of my life, but with parenting. I just can’t figure it out. Well, parenting is no different. And yes, before you tell yourself that a strategic plan for parenting won’t solve the issues with bedtime or getting out the door on time – I’m going to show you that a parenting plan (I call it a roadmap) is the KEY to you finally thinking for yourself as a parent who knows how to act in any parenting scenario that’s thrown your way. 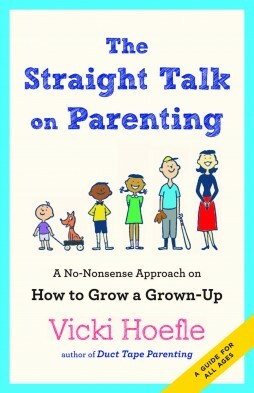 If you’ve taken a class or course from me in the past you know that my goal as a parenting coach is to help parents THINK and tap into your parenting instincts to enhance your relationship with your child instead of using cheat sheets and memorizing new tactics for getting kids to behave the way you prefer. I want you to be able to think on your feet and cruise through the challenges with confidence because you have a plan that not only addresses all these pesky behavior issues but preserves your relationship while doing so. Parenting is one of the most challenging and emotionally exhausting jobs you’ll ever have. Without a roadmap, you’re wasting valuable time trying to “fix” issues with new strategies that never seem to work. When you create your roadmap, you’re giving yourself an anchor to base your decisions and the best part – it’s personal to you. What’s in a Parenting Roadmap? It’s pretty easy to identify WHAT we want in our parenting. Kind, cooperative, thoughtful, resilient, respectful kids (add whatever adjectives you’d like). Extra bonus if you also know what type of parent you want to be (supportive, nurturing, adventurous, loving, etc). Feel free to start a list. Let it rip – your wish list as a parent. And dream BIG here! Next, we identify strategies we’re going to use to achieve our goals. This is the HOW. These are those little strategies that may (or may not work). For you, the discipline strategies might include time-outs, counting, consequences, naughty chairs, and yes, yelling, threatening and physically moving. The positive strategies (yes, you’ll need to think of ways to bring out their strengths), might include: connection by reading, playing, eating together, introducing meditation, art and playgroups. — and this is usually where parents tell me, ‘Yes, I’ve identified the What and How, but my strategies aren’t supporting my goals. They’re not working.’— AHA, that’s because you lack the WHY. What’s your BIG goal with parenting? Why are you parenting? What’s your motivation and inspiration to be the best parent you can be? Some parents know the answer in their gut, and some parents need some coaching here. Knowing your WHY is critical to keeping yourself true to your values and pushing yourself to be your best as a mother. Picture this: Your child is 24 years old. They are coming home to visit and they’ve brought their roommate, friend or significant other along to meet the family. You’re sitting at the kitchen table and this new friend says to your child – “what’s one word you’d use to describe your mother?”. Your child quickly scans the duration of their childhood with you at the helm and says…. But is that how you actually parent? As in, when you’re moving your lips? When I started parenting I knew all 5 of my kids would proclaim in unison if asked, “My Mom? One word to describe her? BOSSY! (x5). And they’d be right. I wanted to control the universe and that’s exactly how I parented, because frankly, I didn’t know any other way. That’s when I made a conscious decision to create a roadmap and define the person I wanted to be described as when my kids were launched into the real world. You can learn the 2 words I identified to guide my roadmap in this video. When you’ve identified what type of parent you want to be – you can ask yourself over and over – what would a LOVING parent do in this scenario? What would a ENCOURAGING parent say in this scenario? How would a FUN parent react in this scenario? For me, it stopped my bossiness in its tracks and kept me parenting from my best – instead of my default mechanism which included lecturing, reminding, nagging and yelling. Suddenly, I was accountable to myself and my parenting partner to challenge my thinking and my default reactions. The reason strategies don’t work long term is because parents haven’t identified WHY they are parenting and fall back to default strategies. Don’t get stuck with the WHAT and the HOW without digging deep into the critical question of WHY. That’s what is going to separate you from all the other mothers in the “parenting cul de sac” chasing the right parenting strategies. As parents, we are charged with creating a plan for offering the best life education that teaches our kids how to be high functioning, resilient, loving human beings. We have 18 years to get them successfully launched. What’s stopping you from creating your roadmap? 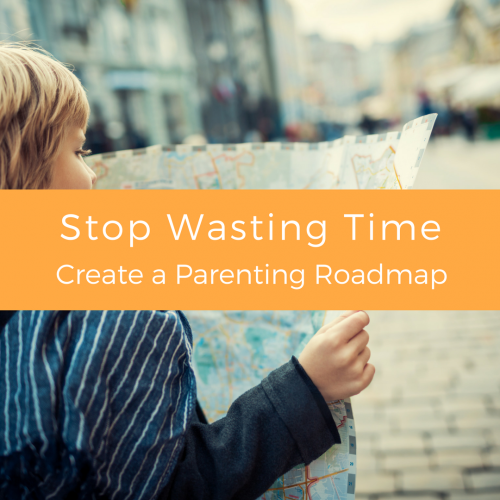 Need more info on creating your own parenting roadmap? Check out my mini-course, The Essential Parenting Roadmap – Keep the Guesswork out of Parenting. It’s the foundational info that you’ve been missing… I promise.